NOTE: This course is our DOT course #1205 and IATA course combined into one. You save $20 when purchasing this combined training course. DO YOU PACKAGE HAZARDOUS MATERIALS FOR GROUND AND INTERNATIONAL AIR SHIPMENTS? 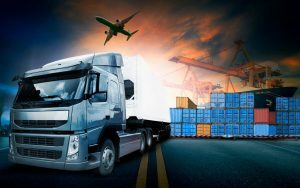 Whether you package dangerous goods for domestic transport, international shipments or both, you need to complete Department of Transportation hazardous materials transport training. The United States Department of Transportation oversees and enforces regulations regarding the transport of hazmat within the borders of the U.S. The DOT coordinates with other agencies to enforce mandates regarding international hazmat shipments, including the International Air Transport Association and the International Civil Aviation Organization. Completing a DOT shipment training course with IATA won’t require you to cease your operations or force you to put your work on hold. That’s because Hazmat School offers online hazmat training for DOT and IATA. By offering training online, we give employers and employees the opportunity to complete their required training at their own pace when it’s convenient for them. DO YOU SHIP INTERNATIONALLY BY AIR? If your organization ships hazmat to other countries by air, then DOT and IATA hazmat shipping training isn’t just optional for you and your employees — it’s required. Hazmat School offers online training for shipping hazardous materials by air for employers and employees tasked with shipping hazmat domestically and/or internationally. This course will enable you and your employees to earn the certification necessary to ship dangerous goods to locations outside of the United States within the confines of the prevailing regulations. When you complete this course, you’ll receive your hazmat certification immediately. If you’re an employer, you’ll have access to your employees’ certifications through your corporate or group account. DO YOU SHIP BY AIR WITHIN THE US VIA FEDEX? Even if your hazmat shipments are limited to destinations located within the U.S. exclusively, you and your employees still must undergo an initial round of training and subsequent training every three years for ground shipments and every two years for air shipments. You can receive the hazmat training for DOT and IATA online through Hazmat School. If you have multiple employees that need this training course, you can enjoy a discount of as much as 20 percent when you set up a group or corporate account with Hazmat School. Government employees can also save on our already affordable prices with a 20-percent discount. If you ship dangerous goods via FedEx or another carrier . . . If you’re looking for a new career path, you may be surprised by the number of industries that require employers and employees to take DOT shipment training courses with IATA. The automotive, cosmetology, manufacturing, electronics, demolition and refrigeration industries are just a few examples of the verticals that require hazmat training. When you take a few minutes to think about all the things that are considered hazardous materials, it’s easy to understand why so many industries require hazmat training. Believe it or not, even some used art supplies are classified as dangerous goods. People who are responsible for transporting hazardous materials can take certification, recertification and refresher courses through Hazmat School. When you enroll in one of our online courses, you’ll have access to qualified, remote instructors who are available to answer your questions around the clock. You can also reach out to our customer support representatives if you need help with your account. To learn more about our online training for shipping hazardous materials by air, or for help setting up an account, contact Hazmat School today. Upon successful completion of this course, participants will be compliant with the International Air Transport Association (IATA) and International Civil Aviation Organization (ICAO) dangerous goods shipping requirements; and will have met one of the “function-specific” elements of the Department of Transportation’s (DOT) hazmat employee training (as this relates to 49 Code of Regulations §172.704). 1. Complete a 30 question examination with at least 75% accuracy.